Quit sharing stories without even reading them. Quit tweeting your every outrage. Quit clicking on garbage. Researchers have long known that local actors—as well as Russia—use manipulative tactics to spread information online. With Facebook suspending a slew of domestic accounts, a difficult reckoning is upon us. We need something in the digtial world that helps to put the brakes on gossip and falsehoods much the same way real life social networks tend to slow these things down. Online social networks that gamify and monopolize based on clicks using black box algorithms are destroying some of the fabric of our society. Lies were able to go across the world before the truth had a chance to put on it’s breeches in the past, but it’s ability to do so now is even worse. We need to be able to figure out a way to flip the script. The families of children killed at Sandy Hook Elementary School in Newtown, Conn., in 2012 are suing a conspiracy theorist who claims the massacre was a hoax. Their lawsuits are bringing the issue of “fake news” to the courts. • Elizabeth Williamson, a reporter in the Washington bureau of The New York Times. • The families of eight Sandy Hook victims, as well as an F.B.I. agent who responded to the massacre, are suing the conspiracy theorist Alex Jones for defamation. 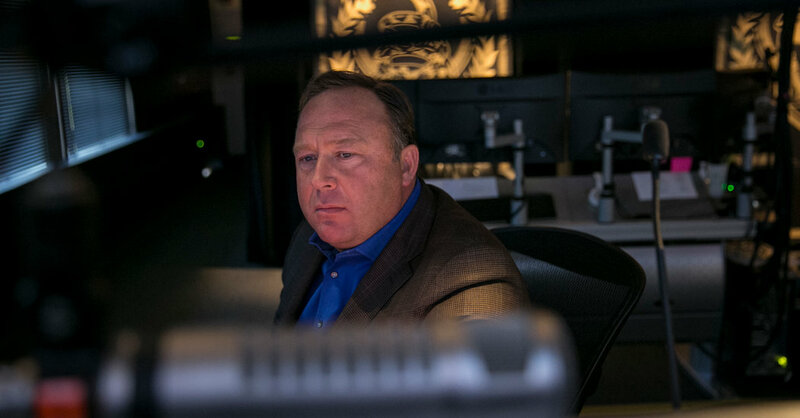 Relatives of the victims have received death threats from those who embrace the falsehoods Mr. Jones has propagated on his website Infowars, which has an audience of millions. 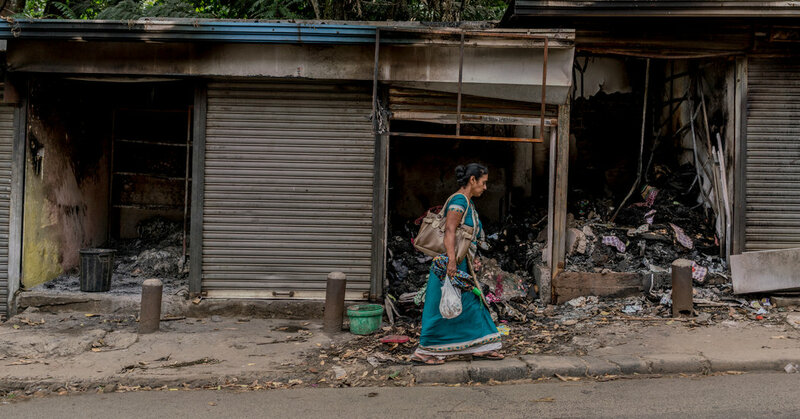 A series of damning posts on Facebook has stoked longstanding ethnic tensions in Sri Lanka, setting off a wave of violence largely directed at Muslims. How are false rumors on social media fueling real-world attacks? • Max Fisher and Amanda Taub, who have reported on Sri Lanka for The New York Times. • Fraudulent claims of a Muslim plot to wipe out Sri Lanka’s Buddhist majority, widely circulated on Facebook and WhatsApp, have led to attacks on mosques and Muslim-owned homes and shops in the country. • Facebook’s algorithm-driven news feed promotes whatever content draws the most engagement — which tend to be the posts that provoke negative, primal emotions like fear and anger. The platform has allowed misinformation to run rampant in countries with weak institutions and a history of deep social distrust. This article is even more interesting in light of the other Google blog post I read earlier today entitled Introducing Subscribe with Google. Was today’s roll out pre-planned or is Google taking an earlier advantage of Facebook’s poor position this week after the “non-data breach” stories that have been running this past week? There’s a lot of puffery rhetoric here to make Google look more like an arriving hero, but I’d recommend taking with more than a few grains of salt. I’m curious what their internal projections are for ROI? Compared to Facebook which just uses your content to drive you out of business like it did for Funny or Die. Interestingly the technology here isn’t that different than the Facebook Data that Cambridge Analytica was using, the difference is that they’re not using it to directly impact politics, but to drive sales. Does this mean they’re more “ethical”? Is this sentence’s structure explicitly saying that AMP is not “open web”?! Social media can be a double-edged sword for modern communications, either a convenient channel exchanging ideas or an unexpected conduit circulating fake news through a large population. Existing studies of fake news focus on efforts on theoretical modelling of propagation or identification methods based on black-box machine learning, neglecting the possibility of identifying fake news using only structural features of propagation of fake news compared to those of real news and in particular the ability to identify fake news at early stages of propagation. Here we track large databases of fake news and real news in both, Twitter in Japan and its counterpart Weibo in China, and accumulate their complete traces of re-posting. It is consistently revealed in both media that fake news spreads distinctively, even at early stages of spreading, in a structure that resembles multiple broadcasters, while real news circulates with a dominant source. A novel predictability feature emerges from this difference in their propagation networks, offering new paths of early detection of fake news in social media. Instead of commonly used features like texts or users for fake news identification, our finding demonstrates collective structural signals that could be useful for filtering out fake news at early stages of their propagation evolution. A great episode as usual. The discussion at the beginning on the fake news issue in the media recently was particularly good. Facebook is apparently asking users to rate the quality of news stories on its service, after facing criticism for allowing fake or misleading news. At least three people on Twitter have posted surveys that ask whether a headline “uses misleading language” or “withholds key details of the story.” The earliest one we’ve seen was posted on December 2nd, and asked about a story from UK comedy site Chortle. Two others reference stories by Rolling Stone and The Philadelphia Inquirer.